The Philippines is home to over 7,107 islands -- each with its own unique charm and beauty. While Boracay and El Nido are some of the first things that come to mind when it comes to beaches, surely there are other islands apart from it that are less publicized, underdeveloped, yet equally, some even more stunning. #1 - Panampangan Island, Tawi Tawi: Located in the far south of the Philippines, this island is often overlooked because of the perceived risks associated with the region. But setting foot on this island and seeing its picturesque views could actually calm your restless heart. 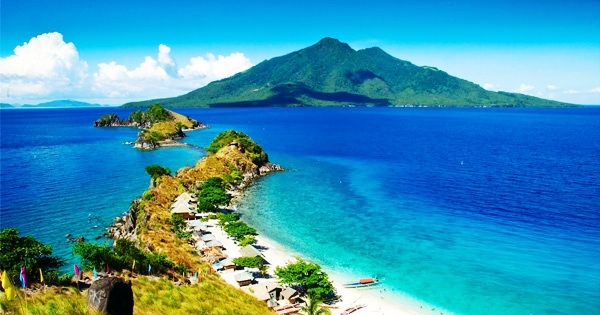 #2 - Sambawan Island, Biliran: A diver's haven, this island has areas perfect for snorkeling and diving. Sharks can even be spotted! Non-divers could also enjoy swimming in its white-sand beaches or climbing to its highest peak to get a panoramic view of the island. #3 - Malcapuya Island, Coron, Palawan: Considered the last frontier in the Philippines, Palawan has some of the most idyllic beaches in the world. Located two hours from Coron, this island may not have the hip and vibe of Boracay but definitely matches its fine, white sand. #4 - Kalanggaman Island, Leyte: Literally translates to "bird" in Cebuano, this island is named as such because of its shape's resemblance to a bird on flight. Though it has already been famous through word-of-mouth, it is still rather secret due to the local government's strict policies to preserve the island's natural state. #5 - Seco Island, Antique: Reminiscent of the shape of a human's elbow, this 4-kilometer stretch of sand offers a secluded patch of heaven on earth surrounded by flat, turquoise waters. There are no available accommodations on this uninhabited island and only day tours are mostly allowed. #6 - Jomalig Island, Quezon: Aside from the local's source of livelihood through fishing, this island also slowly makes its way to the tourism sector. Its clean, unspoiled golden-sand beaches surrounded by lush pine trees and azure waters attracts travelers even though it's not yet very accessible.